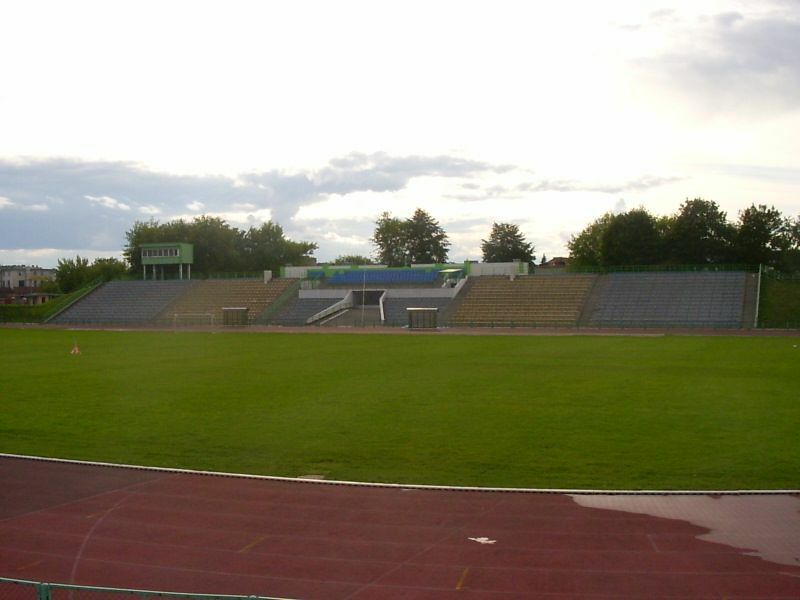 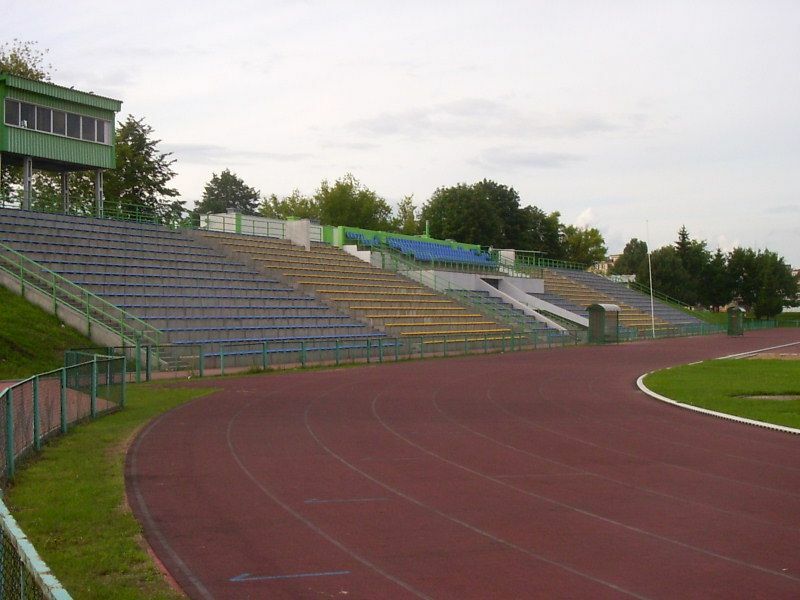 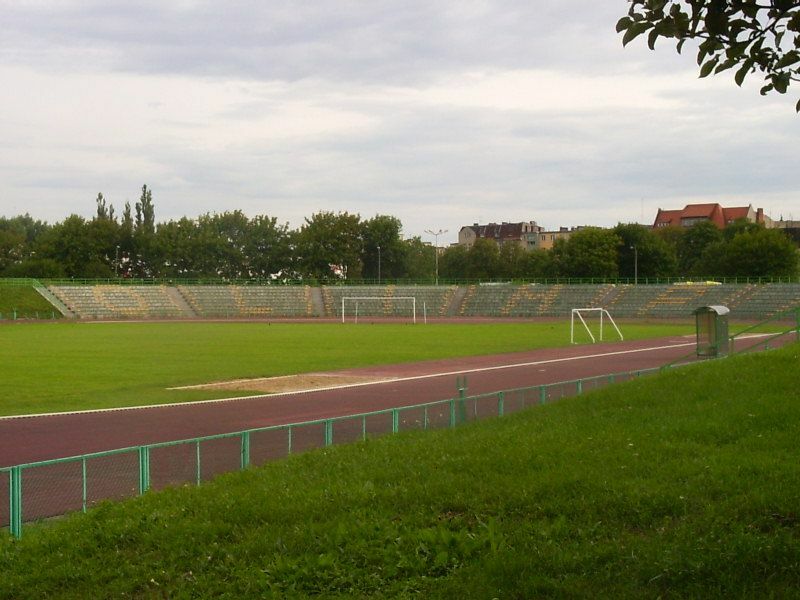 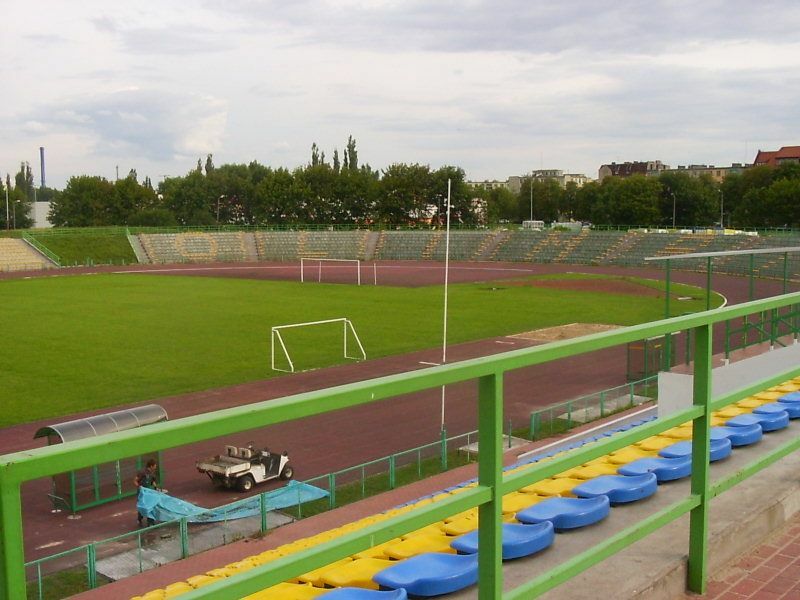 Municipal stadium in Grudziądz was named in honour of Bronisław Malinowski, local runner who manager to win gold medals in all three major tournaments: Olympics, World and European Championships. 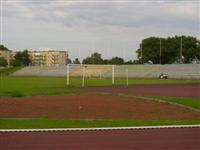 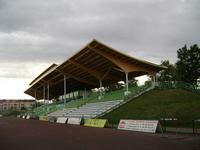 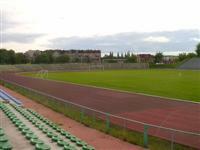 But despite having retained its running track, the ground is currently used primarily for football. 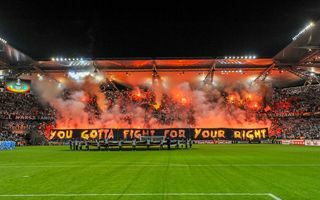 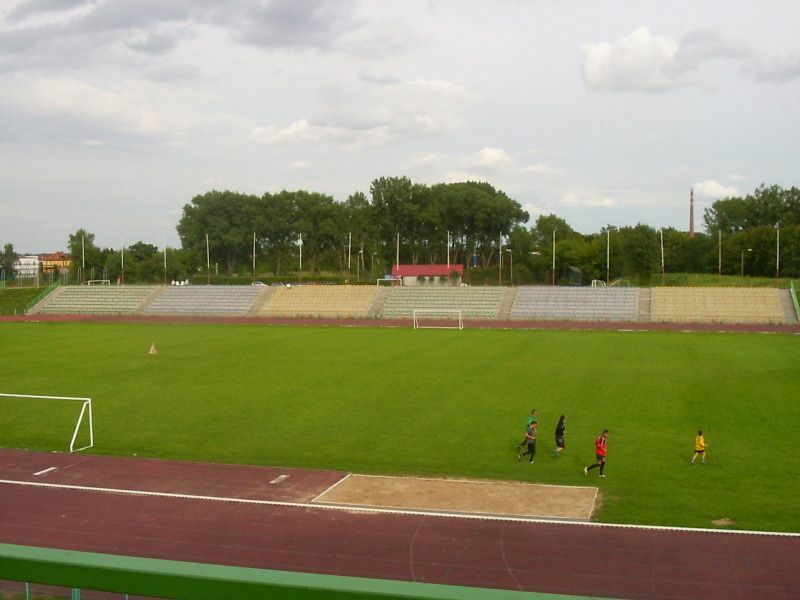 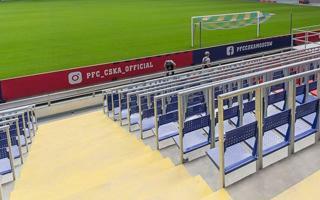 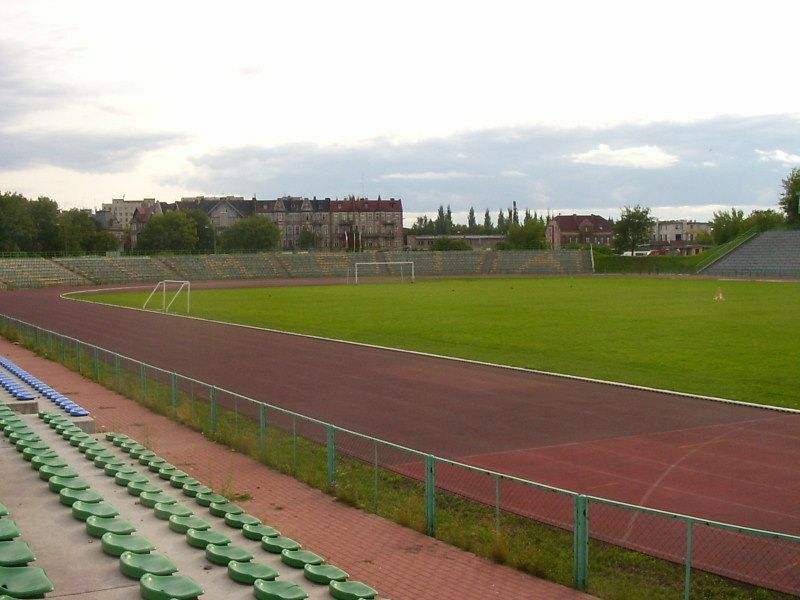 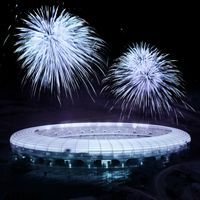 Along with increase in league requirements and solid performances on the pitch, Grudziądz authorities have been modernizing the venue since 2009, adding new surveillance system, heated pitch and roof at the main stand – first over one section, then over almost all of this side of the ground. 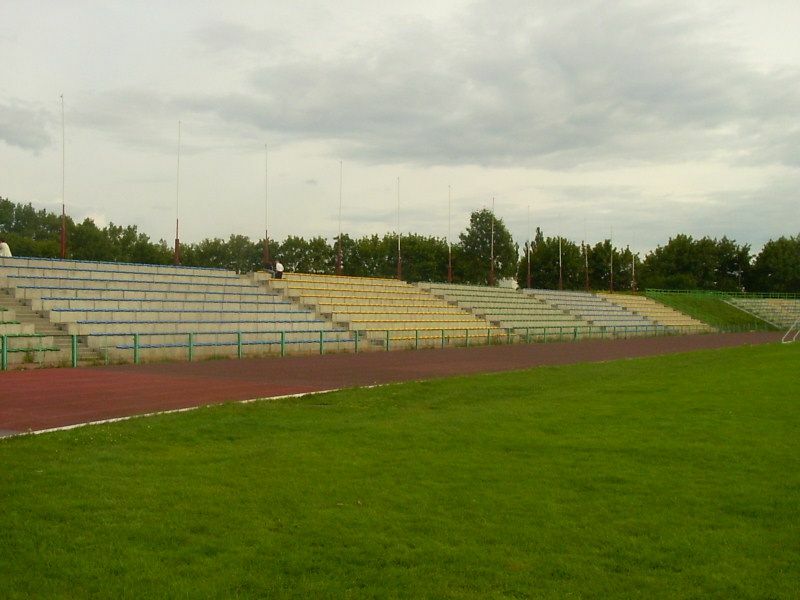 Apart from the covered main grandstand there are also two stands on artificial slopes to the east and south (southern curve is where most vocal supporters stand). 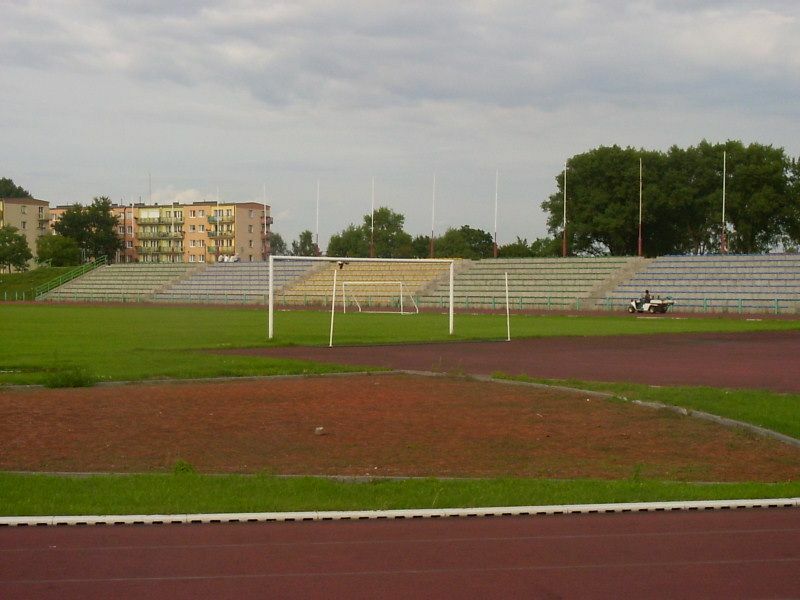 The stadium is open to the north.